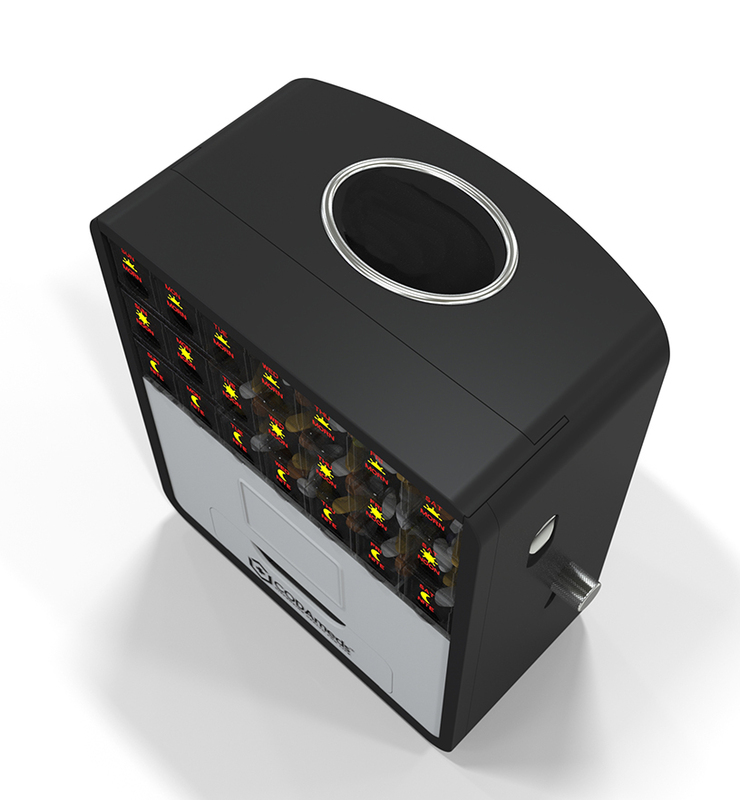 Why was the CODAmed® Dispenser developed? I developed the CODAmeds® Dispenser, a revolutionary new product, due to a life-changing medical event. 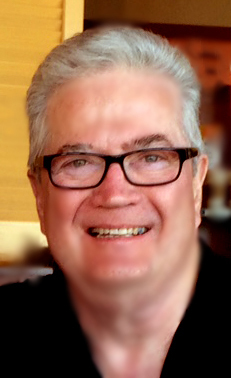 Diagnosed with a defective aortic heart valve ten years ago, I had open heart surgery for a St. Jude Medical mechanical valve replacement which led to a medical plan going forward for continued maintenance. It became acutely critical that more prescriptions were necessary in a closely monitored program. It was also a daunting task as the patient to keep all of those medications straight after just coming out of the hospital, forget about the weeks and years following up too. Needless to say, being an innovator at heart, no pun intended, an idea popped into my head that was as serious as a heart attack, but only figuratively speaking–LOL–but how could I successfully administer all of my own medicine by myself going along into the future? Are CODAmeds® Dispensers “Made in America”? YES! American entrepreneur, Donald Dickey understands the value of U.S. manufacturing quality. It is about creating jobs, keeping money circulating in our own country, and decreasing our dependency on other countries. Donald Dickey hopes is to encourage more consumers to buy “Made in America,” as well as influence American companies to keep their manufacturing in the U.S.A. too. Our product quality is extremely important to our success in supplying superior products to our customers. Because we are involved in the dispensing of millions of dollars of medicine and therapeutic products in the Pharmaceutical Industry, we have an obligation to provide the finest quality dose dispensers to all patients and users. At CODAmeds®, we offer a unique system to organize and administer drugs and supplements to assure following health and wellness programs. “Made in America’ guarantees the high quality products that we will deliver to everyone. Has CODAmeds® adopted and implemented the Can-Am Braille Code Pharmaceutical Design Standard? CODAmeds® adopted and implemented Can-Am Braille Code Design Standard. 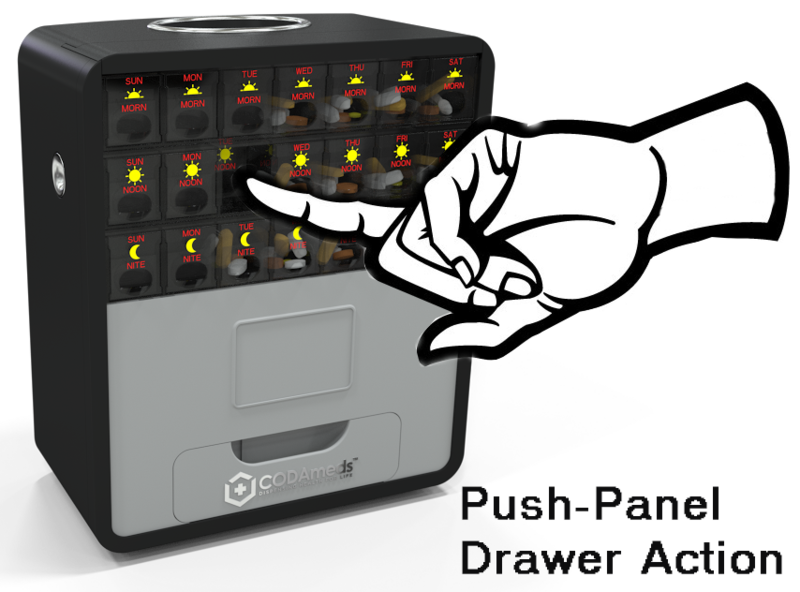 This enables the visually impaired to enjoy all the benefits of using the CODAmeds® Dispenser system. All dose cassettes are marked on each drawer face with each day of the week for easy tactile pressure to sense the raised dot arrays indicating the day. CODAMeds, LLC has adopted and implemented the Can-Am Braille Design Code Standard into its dose dispenser design even though in North America Can-Am Braille is a voluntary standard and there is currently no legislation covering Pharmaceutical Braille. CODAmeds, LLC felt that a proactive approach on the part of industry to develop and implement its own standard would be a way of reducing or even eliminating legislative intervention. The standard is very similar to the European Braille standard. How should I take my pills? 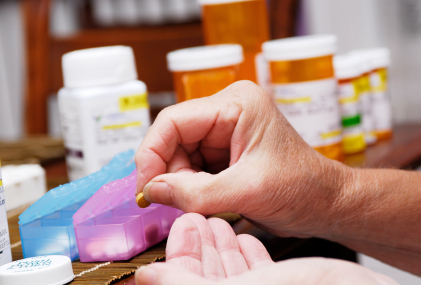 Research shows nearly three out of four Americans don’t take their medications as directed. This may cause devastating results, particularly for people with chronic conditions. 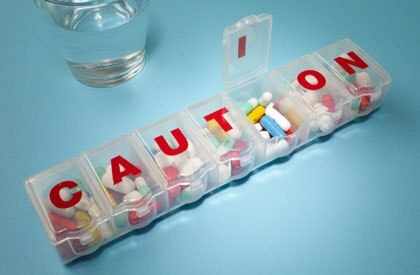 Poor medication adherence has been recognized by national health advocacy groups as a public health priority; it results in more than one-third of medicine-related hospitalizations and almost 125,000 deaths in the United States each year. Improved medication adherence leads to better health outcomes and reduced total healthcare costs by taking their pills on time, every time for better health and wellness programs. Disclaimer: The CODAMeds® Dispenser is not certified medical equipment. As such, it is not promoted under any circumstances or offered for in-hospital use for medical treatment. It is intended only for post-hospital use or an aftercare setting by the patient. The CODAmeds® Dose Dispenser Program simply means taking medications regularly for their benefit & health by the patient or healthcare provider. How do you operate the CODAmeds® Dispenser? The CODAmeds® Dispenser is extremely easy to operate in two steps for loose or bulk pills. 1. Fill loose pills into the weekly/period cassettes and load the three dose cassettes into the open front door of dispenser. 1. Load bulk pills into the flap door in top of lid to drop them into the pill sorter chamber. 2. Dispense pills with Push-Panel Drawer action and then turn the round side knob down and release it. NOTE: Pills are dropped into the drawer below between two pill cups – large & small pills. 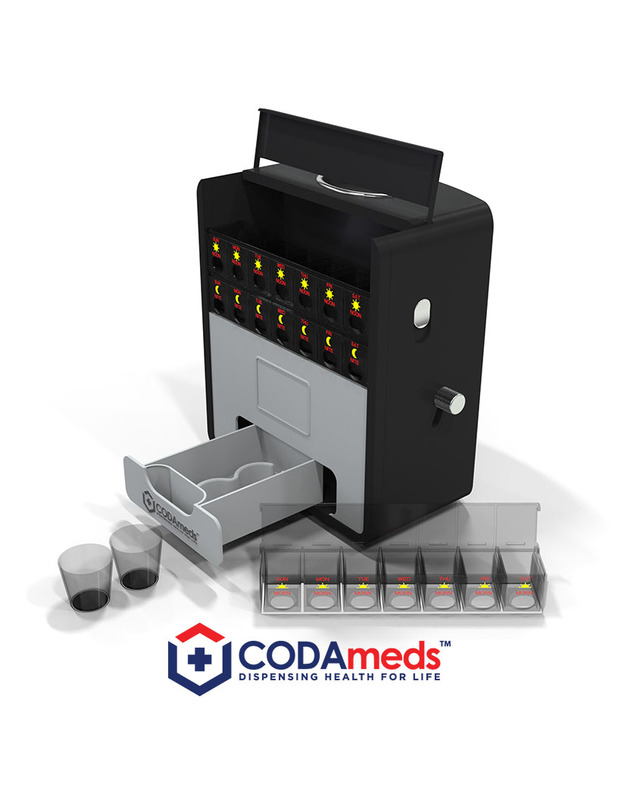 The CODAmeds® Dose Dispensers are designed to divide each daily dose bin by sorting pills into the drawer below between two dose cups – large & small sizes which provide manageable dose quantities that can help swallow pills. 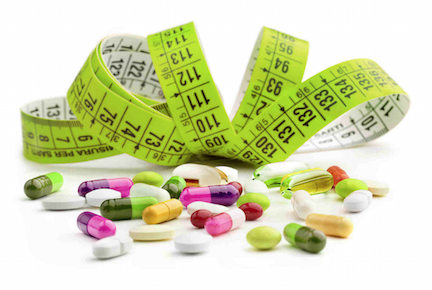 Sizes are not based upon any specific values and quantities as the dispensers sort them randomly due to humidity and temperature as many pills, capsules and tablets may change sizes, shapes, outer shells or coatings causing stickiness and clumping. The CODAmeds® Dispenser Program simply means taking medications regularly for the benefit & health of the patient. Does the CODAmeds® Dispenser handle presorted multiple pill packets? Whether you take your medications with presorted medicines and supplements in individually sealed multiple pill packets provided by pharmacies or by health and nutrition stores, the CODAmeds® Dispensers sort them into two dose cups. The small and large pills are further divided up to allow easy swallowing of pills without the fear of choking or possibly spitting up half dissolved capsules. The convenient, top loading flap door opens to allow a quick bulk pill fill which bypass the daily pill cassettes. They are then filtered and sorted directly into two dose cups for immediate swallowing. Other regular daily medications are waiting in the pill cassettes for their doses without interrupting scheduled cycles. How can Long-term care and At-home eldercare services better help patients? Providers administer medications better while monitoring patient daily cycles. CODAmeds® Dispensers enable healthcare control in delivering medications on-time while also monitoring patient daily cycles. They can offer another method in helping to reduce the medications errors too. Long-term care facilities and at-home eldercare services providers can supply weekly medications pre-filled into the CODAmeds® pill cartridges and load them into the CODAmeds® Dispenser to eliminate patient errors. Disclaimer: The CODAMeds® Dispenser is not certified medical equipment. As such, it is not promoted under any circumstances or offered for in-hospital use for medical treatment. It is intended only for post-hospital use or an aftercare setting by the patient. The CODAmeds™ Dispenser Program simply means taking medications regularly for their benefit & health by the patient or healthcare provider. Where can I go to help and support organizations for health and wellness? CODAmeds, LLC Board of Directors recognizes many fine organizations and associations in the healthcare fields. We have chosen to sponsor them by affording all a public platform on our CODAmeds® Internet website to advertise themselves as our contribution to further spread their messages as many do not receive advertising revenues. Depending on their organizational charters, some rely entirely on charitable donations or educational grants, newsletter subscriptions and volunteer efforts to pursue their lifesaving work. Please Click On ‘Sponsored Sites’ tab to access our website page. Where can I purchase the CODAmeds® Dispensers? CODAmeds® Dispenser sales program is through a distributor and customer base of companies or organizations, Available to both sales channels, CODAmeds® Dispensers are then sold to companies, organizations, individuals, end-consumers or given out as a promotional item–a balanced market mix. What do I do when I dropped all my pills on the floor and my dog just ate them? The ASPCA Animal Poison Control Center (APCC) is your best resource for any animal poison-related emergency, 24 hours a day, 365 days a year. A $65 consultation fee may be applied to your credit card. 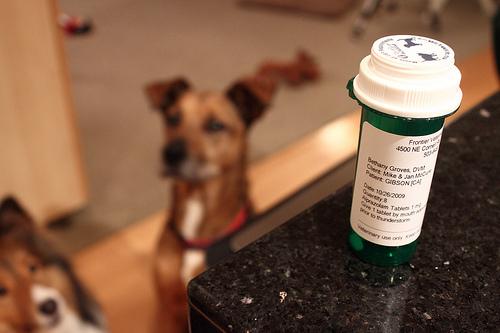 When you consider that approximately 100 million Americans take medication two to three times per day, that most dogs eat anything we drop on the floor, and that our dogs are often in proximity to us whenever we’re home, the danger to our animal companions appears obvious. You have to use a CODAmeds® Dispenser to safeguard your pets. 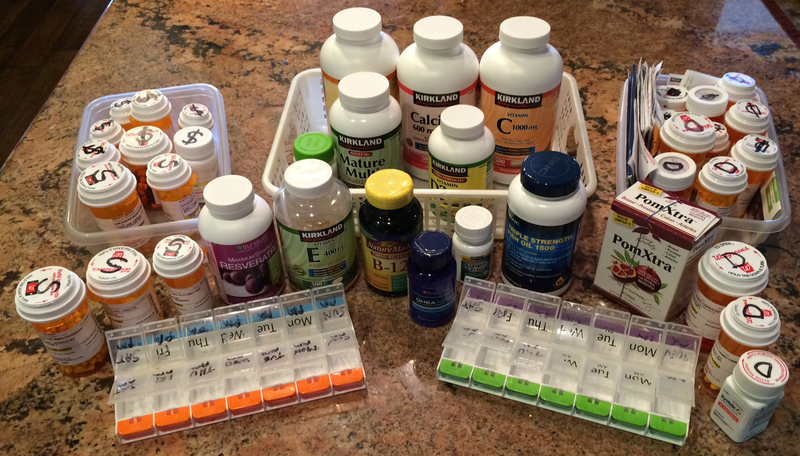 Can I sort my daily CODAmeds® doses along with my Bodybuilder, Sports Fitness Health Vitamins & Supplement pills too? 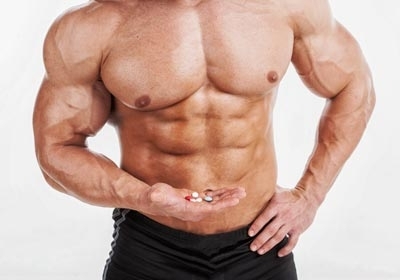 Anyone who is into sports fitness has a large regime of pills to swallow in training. A balanced lifestyle with good health includes the CODAmeds® Dispensers with vitamins, minerals & supplements. 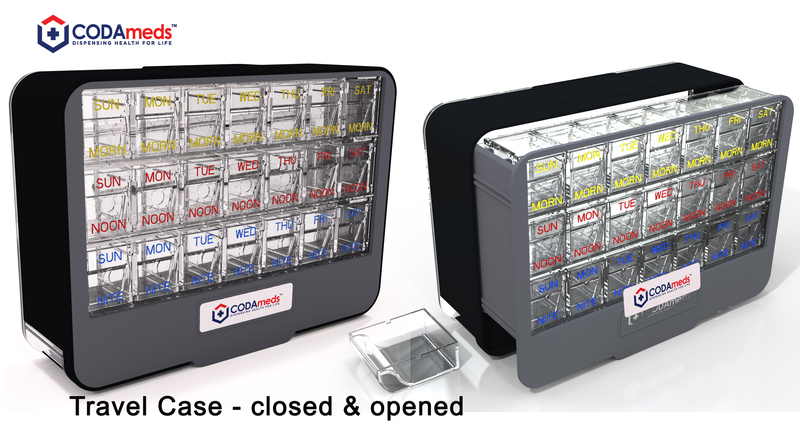 The CODAmeds® Dispenser can easily handle sorting those pills into large and small pills while holding other daily medications and pills in their dose drawers to take when scheduled. What is the Circle of Health – It’s about You!™ program about? Our CODAmeds® program of Circle of Health – It’s about You!™ is simple. First, it is to educate within the circle of Patients, Physicians, Pharmacists and Providers about how our CODAmeds® Dispensers work. Second, it is to demonstrate within that circle of how using our CODAmeds® Dispensers help them to manage ordering, storing, dispensing and reordering of drugs and supplements to maintain a consistently regular daily dose schedule for the best possible health results with our personal Meds Self-Care™ plan. What is the Meds Self-Care® plan about? The Meds Self-Care™ plan is for individuals within our Circle of Health – It’s about You™ program. The Meds Self-Care™ Plan is showing people how to take control of their health by managing it as a team effort. That means that Patients connect with Physicians, Pharmacists and Providers in a complete team circle to assure proper medication schedules. CODAmeds® Dispensers and FREE Pharmacy Smart Phone Apps now coordinate a link to pharmacy software which notifies patients on their personal reminder schedule when to take doses, to reorder and to pick up prescriptions. An added bonus is that the pharmacist can coordinate with physicians about drug interactions, placing new prescriptions as well as requesting renewals when due as it’s all automatically done as in our suggested guidelines for our Circle of Health – It’s about You™ Program – it shares control of meds with the patients. How do prescription drugs work with vitamins and supplements? As many Doctors and health care professionals have proven over the years, today’s patient care may include both prescribed medicines along with homeopathic drugs, vitamins and supplements. The vitamins and supplements with prescription medicines have been proven to be highly effective treatment for maintaining body wellness or restoring its health and vitality. Additionally, another huge benefit is the cost saving alternative, natural therapies to drug prescriptions. Please check with your healthcare professionals for help in putting together your own personal CODAmeds® Dispenser program. How do I dispose of unused pills and medicine safely? 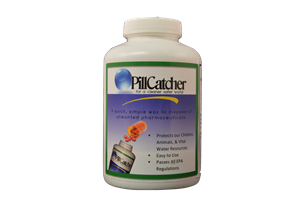 The Pill Catcher™ is a time-tested, easy-to-use product that allows you to dispose of unused pills and medicines safely. It is EPA certified as the only type of drug disposal product that passes all tests for safe disposal to landfills. Most people dispose of drugs by dumping them into the trash or flushing them. This gets the drugs out of the home, but pollutes fresh water resources. This is why The Pill Catcher™ was invented and patented, to make drug disposal safe and easy. So, you can secure your pill disposal in a way that’s safe for the environment with The Pill Catcher™. The unique drug disposal product protects the Earth from harmful chemicals. This avoids the chance of unused drugs getting into the hands of kids or eaten by pets. It also eliminates the chance of drugs entering our sources of fresh water. How do CODAmeds® Dispensers help Pharmacists? Stand out with an innovative system for medications with CODAmeds®. Pair CODAmeds® Dispensers with a Smartphone Dosage App system. Show how to take medications on time with CODAmeds® dispensers is easier. 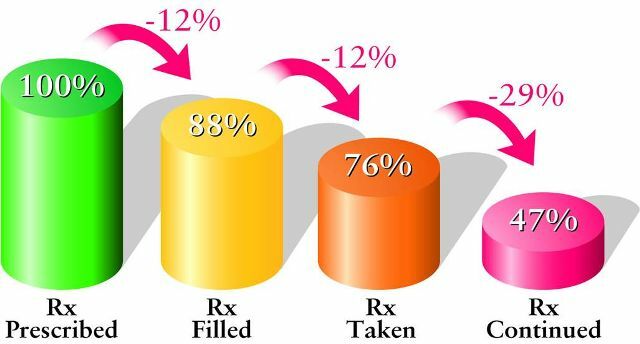 Improve on medication adherence resulting with more timely refills. 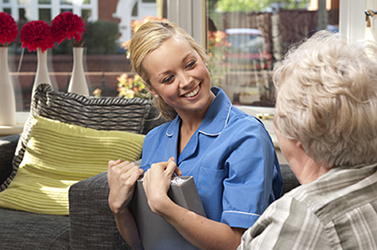 Build up customer loyalty base with long-term care and at-home patient trust. Attract new providers like long-term care facilities and at-home eldercare. Demonstrate how your pharmacy offers a real solution to saving time. How do CODAmeds® Dispensers help People? 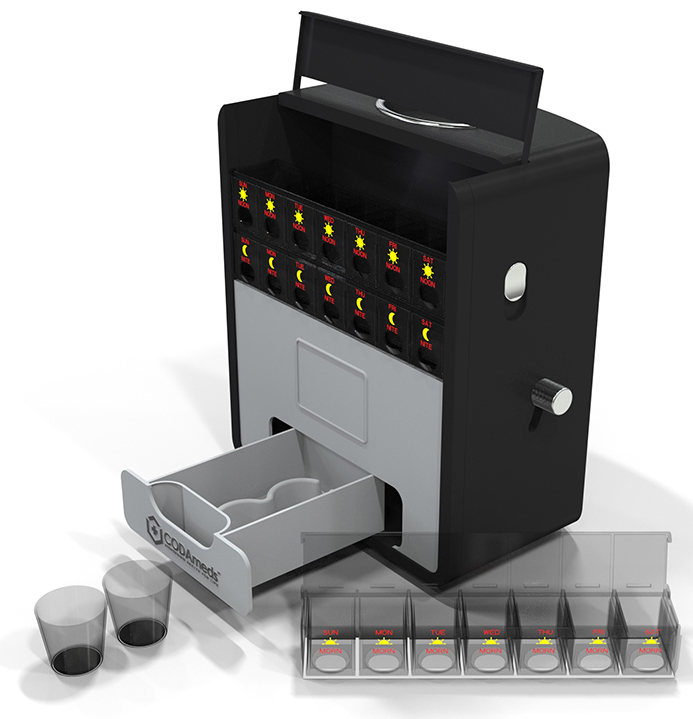 Has a simple Drug, Vitamin & Supplement dispenser system anyone can use. It’s easy to sort dosage by days & times as it dispenses by large & small sizes. Provides at your finger tips ready access to individual pill doses when needed. Goes anywhere as a stand-alone pill dispenser without electricity or computers. Offers a compact dispenser for under-counter kitchen cabinet/shelf storage. It can hang on any wall as a space-saving dispenser. Why does it always seem like I’m buying another pill box again? The standard pill box designs have many drawbacks to their features. CAUTION. Many people complain they often spill pills from other compartments as the bin doors become brittle or get stiff plastic after flexing every day. Another problem is the lettering wearing off bin names for day or time; missed or wrong medication errors do happen too. Besides physical limitations due to difficulty in filling tiny pill compartments, opening and closing the flip-flap pill doors; the overall operational physical wear-and-tear limits the product lifespan greatly—which means more cost since it has to be replaced more often. What exactly is a “Boomerang Patient” and do I qualify? Boomerang patients have been a longstanding problem for hospitals. 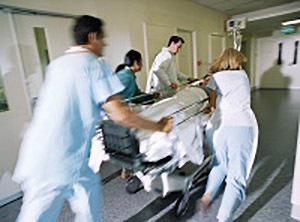 If a patient readmission is within eight weeks for the same treatment the Obamacare fines to Hospitals are $6,000 and a Cost of Care of $2,700 incurred by the hospital itself for the additional treatment for a total cost of $8,700 per patient. Even when re-hospitalizations were less common in 2013, nearly 1 in 5 Medicare patients returned within 30 days, they were costing taxpayers $26 billion extra. Drug dosage non-compliance, not taking medications consistently, is cited as one of the major reasons for patient readmission and assessments for CMC penalties. Solution: Send every patient home with a CODAmeds® Dispenser for better medicine management. What’s a big growing problem today in healthcare? Medication adherence is a major growing concern to doctors, clinicians, healthcare systems, and other stakeholders (e.g., payers). Medication adherence (or compliance) is the extent to which patients take their medication as prescribed. Medication non-adherence, however, is growing faster as the US population ages and as patients take more medications to treat chronic conditions while price and availability of drugs becomes more a more critical too. The World Health Organization describes non-adherence to medication as a “worldwide problem of striking magnitude”. Estimates suggest that between 30-50% of patients with chronic conditions do not take their medications as prescribed. Consequences of non-adherence include a missed opportunity for treatment gain, wasted medication, and potentially increased health care costs as a result of deterioration in the patient’s condition. How are others doing and taking their pills? More health care professionals are making choices to medicate or educate their patients about the need for drug prescriptions. 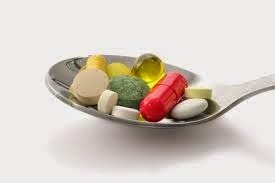 Many opt to prescribe fewer drugs and add vitamins with supplements to treat the ever growing patient care so that many people take fewer drugs and more vitamins and supplements to achieve wellness program goals. So how do many people manage them all? It’s not unusual, though, that kitchen counters have become a weekly pharmacy. The prescription bottles blend in with the confusion of the various sizes and shapes of the vitamin bottles along with the chaos of special blister packs or split pill doses too. All pills are collected and sorted into the days of the week, by times of day–morning, noon and night, into pill boxes separated into daily weekly dosage. The standard pill boxes available in most stores are typically designed to carry a week’s supply of doses while most prescriptions are filled on a monthly or quarterly basis. 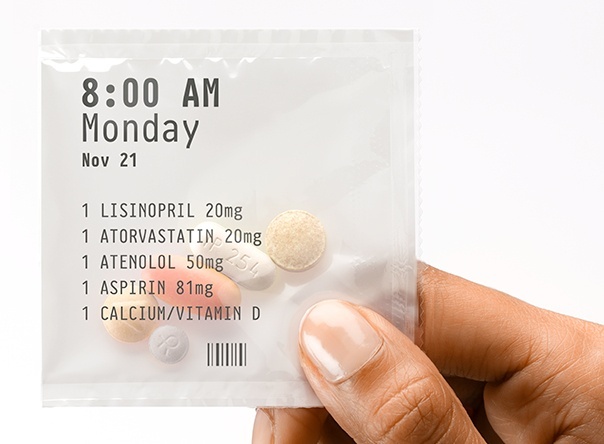 Practically speaking, both supply periods follow the same rules for ordering–call a week prior to the refill date under insurance guidelines as different medications run out on different dates. To order, fill and take prescriptions is an ongoing problem that always needs constant attention – it is time to have a CODAmeds® Dispenser. 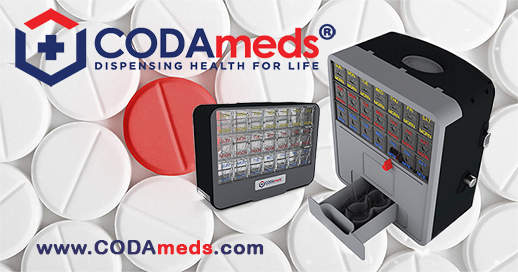 How do CODAMeds®Dispensers size up to the tiny pill box? Pill boxes have hard to open & close flip-flap snap lids that are replaced with only one easy-fill door in the CODAMeds® cassette cartridge. 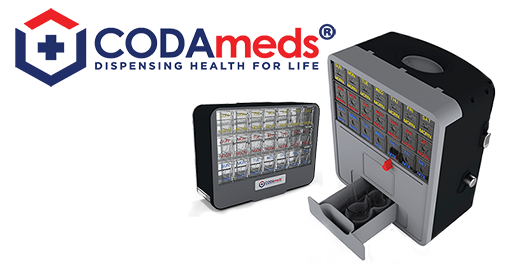 CODAMeds® compartments can hold up to 30 ML of drugs, a hospital standard for dose cups, as most pill boxes are 15 ML with even the largest only at a 20 ML capacity. Pill box compartments are smaller and more difficult to fill while CODAMeds® Pill cassettes are larger and easier to load pills. Due to tiny pill box compartments, pills are jammed in and difficult to do a visual pill count where the clear CODAMeds® pill cassettes are bigger to see pills. Small pill box compartments that are overfilled compress pills into sticky, difficult balls to swallow while CODAMeds® pill cassettes have ample room. A single dose from a pill box is hard to swallow while CODAMeds® Dispensers divide small & large pills into separate dose cups for easier to take sizes. 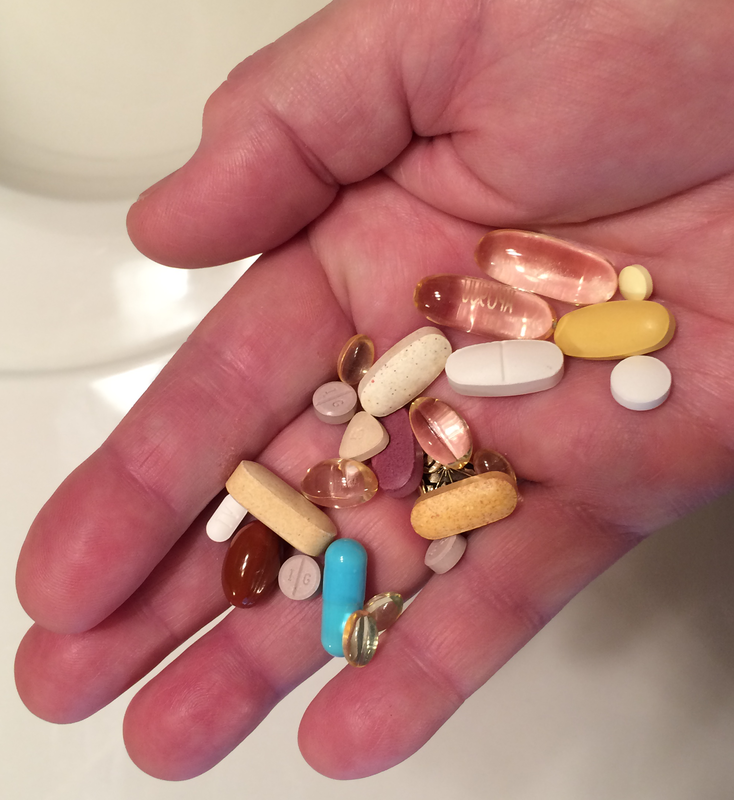 How do I get a Smartphone App that tracks my meds & vitamins? Today you have the power within your reach to totally manage your daily medications dosage program. Why pay extra for this added technology? Now with your cell phone you can access your pharmacy’s data with their proprietary software and access available blue tooth enabled health products too. Your CODAmeds® Dispenser is then the ultimate tool in your medicine cabinet that enables effortless dosage for easy sorting, storing and swallowing all types of medications and supplements. CODAmeds® has invested our time to research the latest reference resources to offer all customers a broad knowledge base for an easy guide to access the many available wellness programs via smartphone technology — Please click on the iPhone picture or the hyperlinks on a PHARMACY displayed on our site page or you can search for ones that are more convenient in your own community. We encourage everyone to take advantage of these innovative and resourceful Smartphone Apps. The Apps fully engage CODAmeds™ Dispensers and your personal Meds Self-Care™ plan for healthcare about individuals within our Circle of Health – It’s about You™ program. Can I travel with my CODAmeds® Dispenser? You can go anywhere with your CODAmeds® Travel Case with your pill cartridges in a compact carrying case designed to dispense your medications away from home. It is the perfect way for everyone who needs their medications with the convenience of home. So please take a look at this handy travel accessory to see for yourself how easy it is to take pills away from home. The CODAmeds® Travel Case holds the 3 pill cartridges, a 7 day pill supply, from the full size CODAmeds® Dose Dispenser. The CODAmeds® Travel Case slides out (9″w x 6″h x 3.5″d) and in (9″w x 6″h x 2.5″d) for compact storage in any suitcase which always ensures your pills are conveniently there at your finger tips ready when you need them.